I did this drawing in about 15 minutes using traditional pen and ink fountain pens. 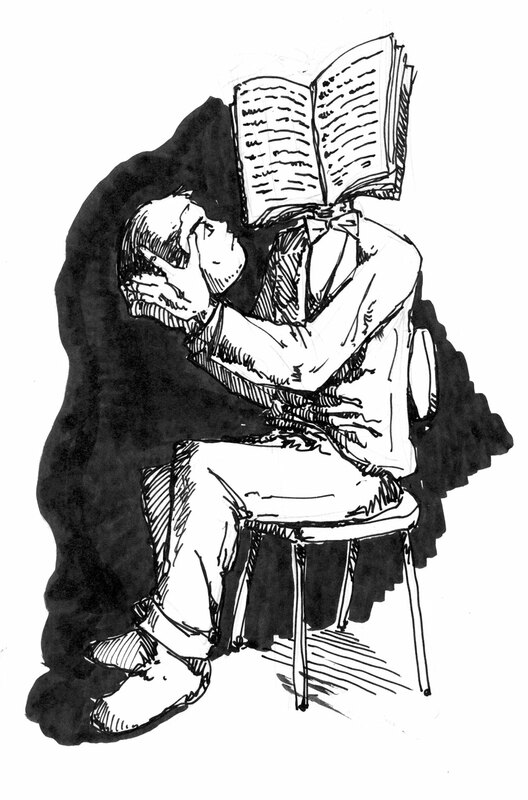 I decided to invert the general practice of reading by transplanting the head to the hands and vice-versa. I don’t think the black background added too much to the drawing. I use a pentel aquash watercolor brush pen that I have filled with ink for the bigger spots. Perhaps it would have been better to have left it out. Oh well. Too true. Maybe the one page is really, really good? Love this. Nice work all the way around. Thanks for sharing.